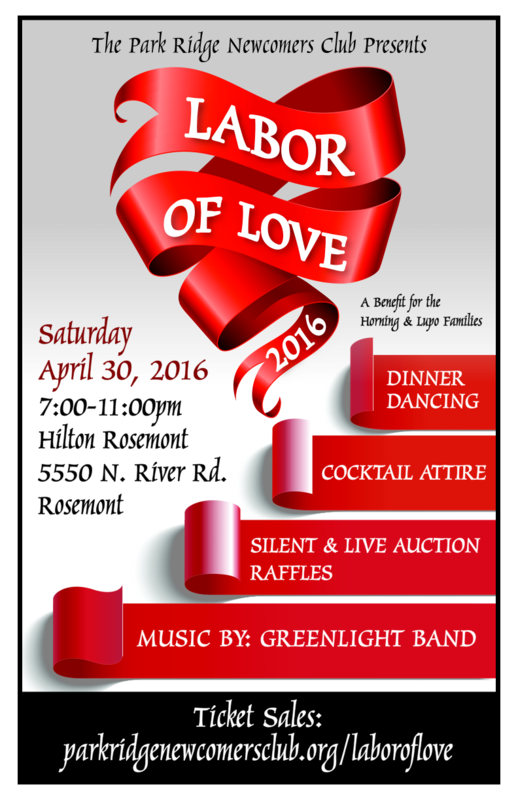 2016 Labor of Love Gala!! The Horning and Lupo Families! This event is our biggest philanthropic event of the year and features both live and silent auctions, live music, buffet dinner, premium open bar and raffles. The funds raised from this event support Park Ridge families who are facing extreme hardships. Hilton for a rate of $129. In October of 2014 Dave Horning was diagnosed with Linitis Plastica Cancer (stomach cancer). Dave underwent 2 treatments of chemotherapy, but reacted very badly. Dave was unable to eat and lost weight and did not have the stamina to continue with the treatments. Dave entered Rainbow Hospice on January 12th, 2015 and passed away on January 22nd, 2015 at the age of 47. The Horning’s have claimed bankruptcy and their home is going through foreclosure. The funds raised will be put towards their housing costs. Dave (deceased), Patty, Marissa (age 13), and Nick (age 11) have lived in Park Ridge for over 13 years. 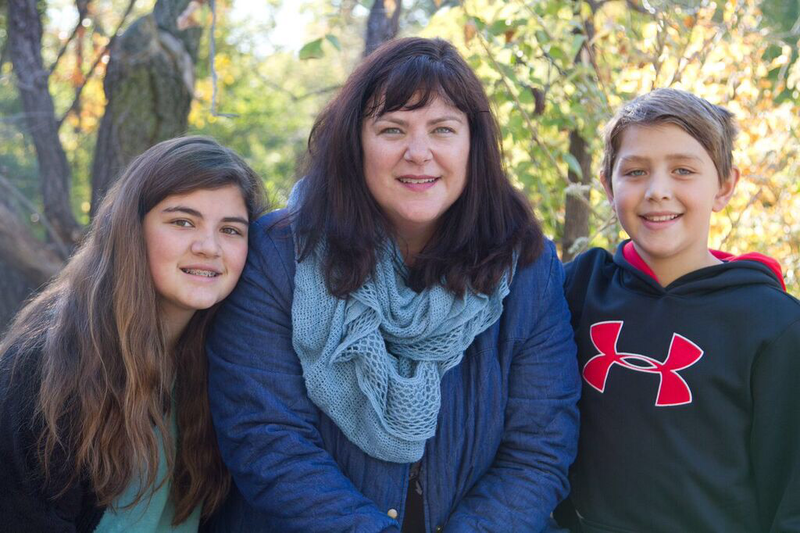 Patty Horning and her family have been active in Girl Scouts, Boy Scouts and with the Carpenter and Emerson School PTO. They have helped with hot lunch, book fair, Halloween party and the 5th grade party. If you ever asked either of them to volunteer for something, they never gave it a second thought, especially when it came to supporting their children. 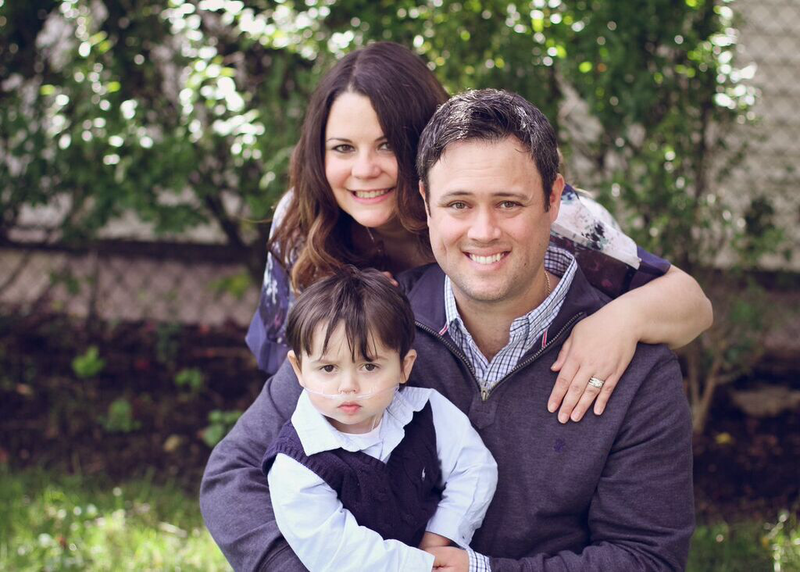 Our second Labor of Love recipient is Michael Lupo. Michael Lupo is our miracle. From the day he was born he had to fight to live. He was born with multiple complex heart defects and other congenital anomalies. He has had numerous heart surgeries and many life threatening/long term complications from them. He spent the first two and half years of his life constantly in and out of the hospital. He continues to battle through despite the odds and still has many challenges ahead of him to face. The greatest gift is that anyone who meets him is greeted with his beaming brown eyes and beautiful smile; no one would know how hard he has fought to live. Michael’s parents, Melissa and Michael, have health insurance that requires them to pay a quite substantial out of pocket sum, including uncovered expenses such as prescriptions, therapies and various medical devices. Due to the seriousness of his condition and constant surgical interventions this out of pocket expense has and will be a necessary yearly expense. The funds raised by Labor of Love will help pay for medical bills and necessary medical devices for Michael. As Michael's condition leaves him vulnerable to various illnesses, it is necessary to provide private in home physical, occupational and speech therapies. direct impact on the families.